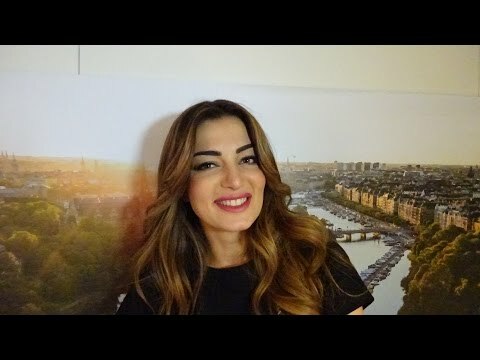 As one of the first countries, the Armenian broadcaster T1 has declared Iveta Mukuchyan as the representative for Stockholm. The song announcement was made in early 2016. A lot of compositions from all over Europe have reached the selection committee, mainly from Sweden. At the end Iveta has chosen as song from the Armenian composers Lilith and Levon Navasardyan. There have also been national finals in the past, but recently Armenia has made internal selections. Iveta was born in Yerevan in 1986. Very early her family moved to Hamburg, Germany. There she grew up and studied linguistics. Later on she realized that music is her big passion. She went back to Armenia and studied jazz singing. Iveta participated in the “Hay Superstar” show in Armenia, where she came fifth. Later one she participated in the German edition of “The Voice” where she was singing Loreen’s “Euphoria”. Now Iveta is not only a singer, she is also songwriter, actress and fashion model. The song “LoveWave” is a very contemporary mid-tempo song with ethnic elements. There are also unique avant-garde electronic elements in this song, which make this song very special and radio friendly. The song is about falling in love with someone, which feels like an earthquake. The beautiful singer, who fluently speaks German is having one of the strongest entries in this year’s Eurovision Song Contest. Iveta has a great voice, great looks and a perfect song to stand out of the others. This is not only a qualifier, it is one of the winning candidates. Congratulation Iveta and Armenia. Armenia was the first country from the Caucasus which has joined the Eurovision Song Contest in Athens, 2006, this was a big surprise and an enrichment in all matters. The debut entry “Without Your Love” by André reached a very good 8th rank. This year Armenia is celebrating its 10th anniversary already! Congratulations! The best results so far was two times the 4th place, which could be reached by Sirusho with “Qele Qele” in 2008 and by Aram MP3 with “Not Alone” in Copenhagen 2014. Over the years Armenia could pass the qualification round eight times and ended up the Top10 for 6 times. This is absolutely amazing. New countries can bring a lot of new energy into this established contest, and this has been appreciated with the always good points for Armenia. This means that Armenia has a relatively high chance of 60% to reach a Top10 position. This makes Armenia to one of the strongest newcomers in the recent ESC history. Armenia always wanted to win the ESC, at least they have won the Junior Eurovision Song Contest and even hosted is in the capital of Yerevan. Due to political reasons Armenia did not participate in the 2012 ESC in Baku, Azerbaijan, which was a pity as the Eurovision Song Contest strongly emphasizes that it’s a contest of music and has no political impact. Last year’s entry “Face The Shadow” reached the Grand Final and made 16th place.